2019 registration is open! Click HERE and save. 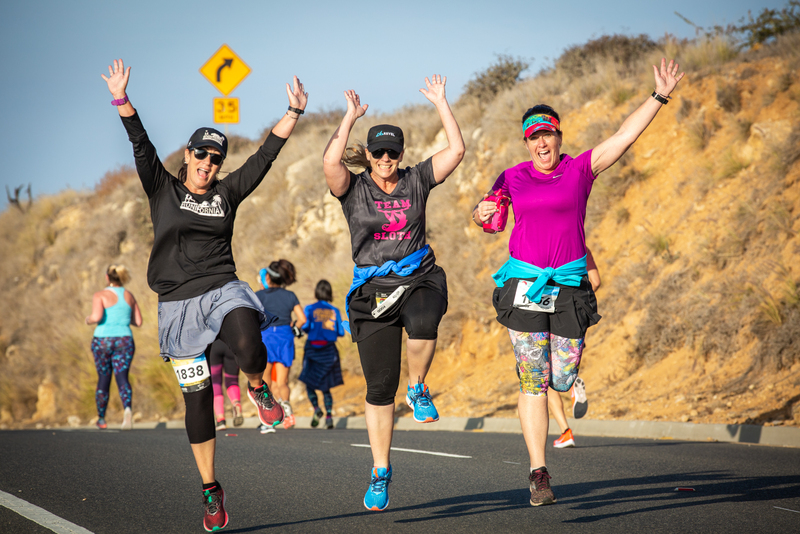 Participants start and finish above the scenic Terranea Resort in Rancho Palos Verdes. The course follows the road through grandiose residential neighborhoods with million dollar homes and flows along scenic coastal cliffs with views of Catalina Island in the distance. The course is known for its hills. It will be your race challenge of the year. But there is plenty to celebrate once you finish. Relax with a celebratory craft beer and brunch or enjoy free massages overlooking spectacular sea cliffs in the Lexus Lounge. Take advantage of this race and spa getaway only an hour from Los Angeles. 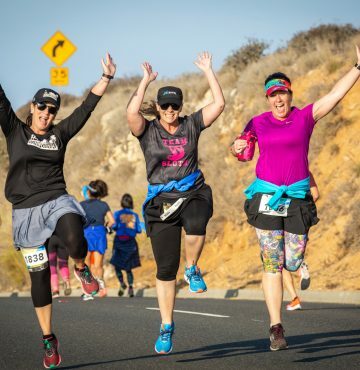 Palos Verdes Hill Challenge – Back for 2019! 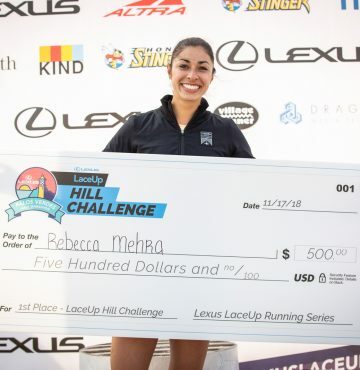 Adding to the challenge of the hilly Palos Verdes course, LaceUp is adding a race within the race, giving runners a chance to compete for the fastest time on the half marathon course’s most difficult climb. Click HERE to see what the Hill Challenge is all about. 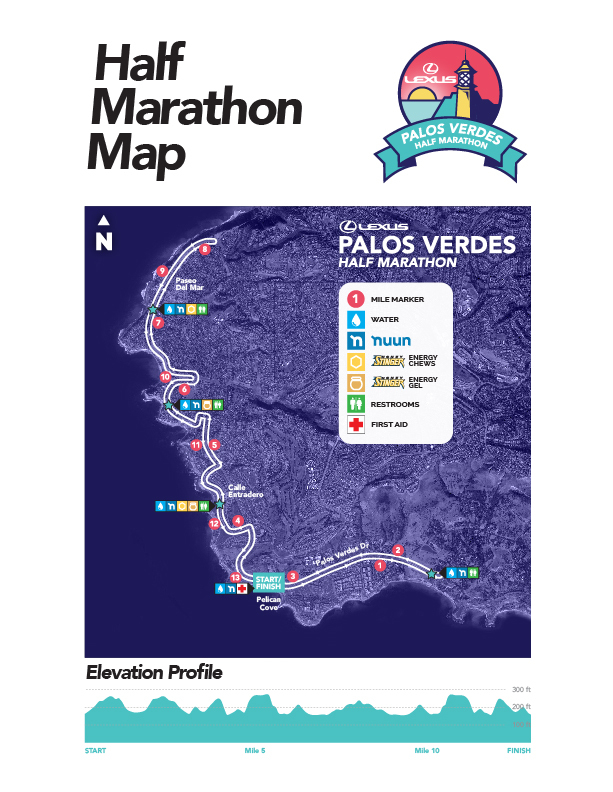 The Palos Verdes Half Marathon is Southern California’s most scenic Half Marathon. The Nov. 16, 2019 event will also include 10K and 5K racing opportunities. Grab your best running friends and register for the Half Marathon today! When: November 16, 2019—7:00 a.m. 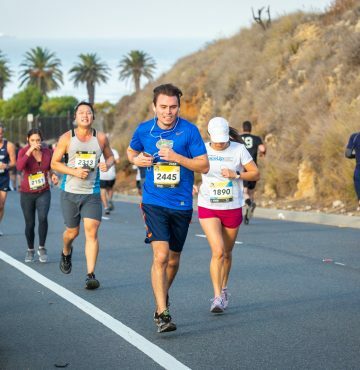 The Half Marathon will start and finish above the scenic Terranea Resort in Rancho Palos Verdes. The course runs south on Palos Verdes Dr., gradually uphill, before a turn near Wayfarers Chapel. Runners will pass Pelican Cove and the iconic Point Vicente Lighthouse, before turning left onto Calle Entradero. Continue on past beautiful Palos Verdes homes and return to Palos Verdes Dr. Runners will then turn left on Via Pacheco before reaching the highest point on the course. From here, racers will drop onto Paseo del Mar and run right next to the ocean and past Lunada Bay, a well-known surf spot. Runners will then turn around near Bluff Cove before heading back toward the finish at Pelican Cove Park. 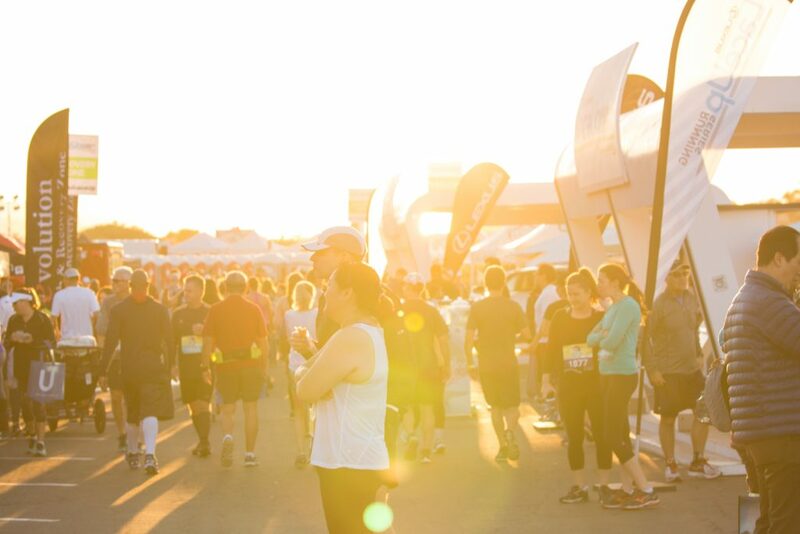 When you arrive at the expo area, relax and enjoy one of the many LaceUp Running Series perks – you’ve earned it. Please Note: There is a four-hour time limit on the Half Marathon course. Participants need to maintain an 18:20 minute/mile. 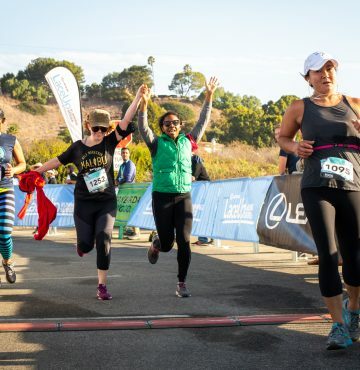 The Palos Verdes 10K enjoys the same idyllic scenery that the Half Marathon boasts. The Nov. 16, 2019 race is one you won’t want to miss. Grab your best running friends and register for the 10K today! 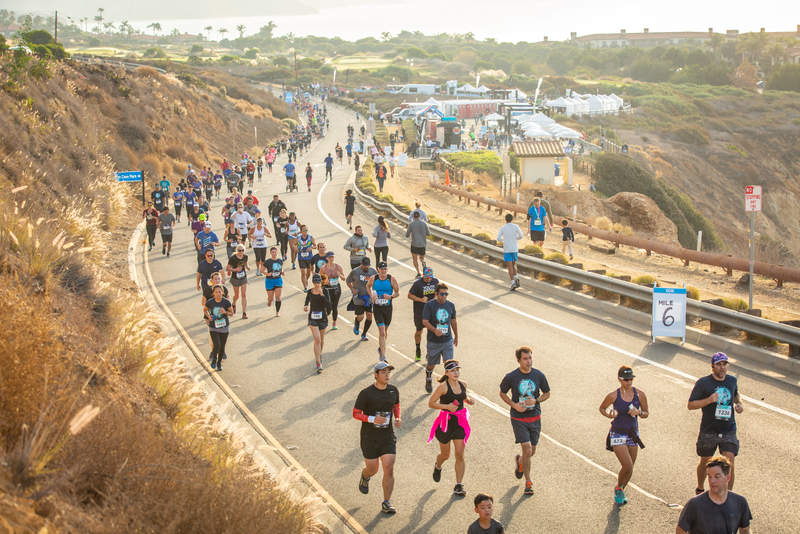 The 10K will start and finish above the scenic Terranea Resort in Rancho Palos Verdes. The course runs south on Palos Verdes Dr., gradually uphill, before a turn near Wayfarers Chapel. Runners will pass Pelican Cove and the iconic Point Vicente Lighthouse, before turning left onto Calle Entradero. 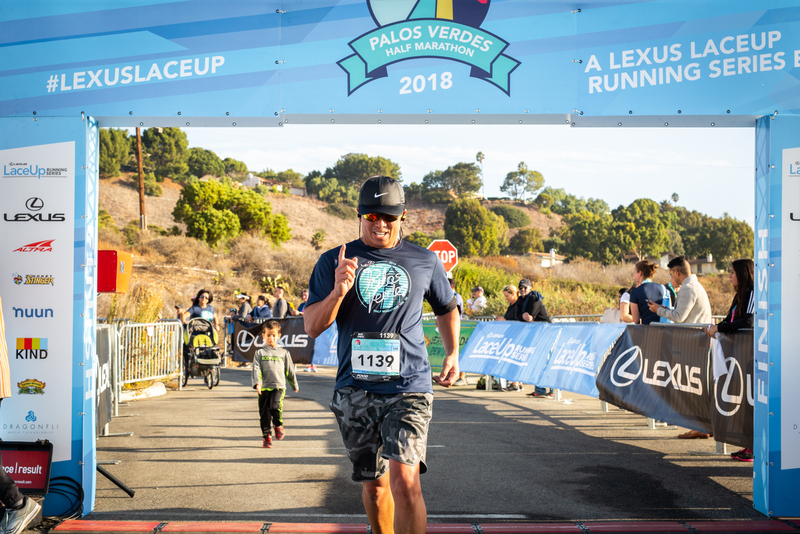 Continue on past beautiful Palos Verdes homes and return to Palos Verdes Dr.
10K runners will turn around here and head back toward the finish at Pelican Cove Park and the expo area loaded with LaceUp Running Series perks. Note: 10K course time limit is 2 hours. This is a 19:20 pace, great for walkers and runners. When: November 16, 2019—7:05 a.m. 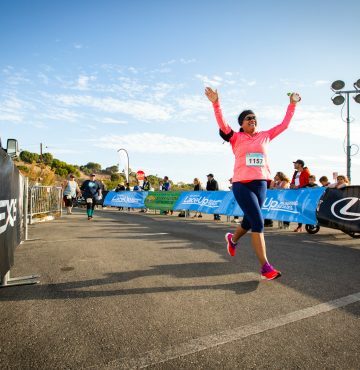 The 5K will start and finish above the scenic Terranea Resort in Rancho Palos Verdes. 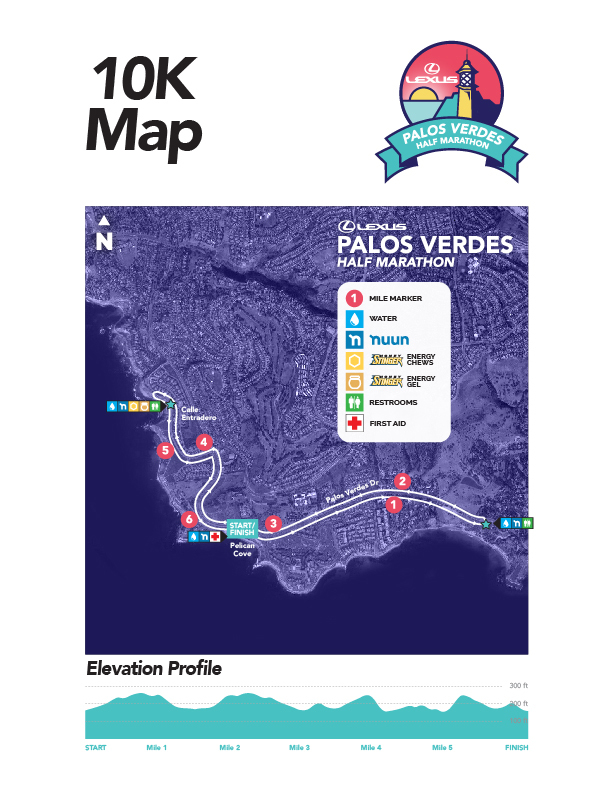 The course runs north on Palos Verdes Dr., past Pelican Cove Park and the Alta Vicente Reserve. Runners will climb past the Point Vicente Lighthouse, one of the area’s jewels. After the short climb, runners will reach the highest point on the course before turning left on Calle Entradero. Runners will hit the turnaround shortly after, and return to Pelican Cove Park and the expo area while enjoying a downhill finish. Note: 5K course time limit is 1 hour. This is a 19:20 pace, great for walkers and runners. Packet pickup times and location coming soon. Due to growing runner numbers, you MUST pick up your packet on Friday November 15. 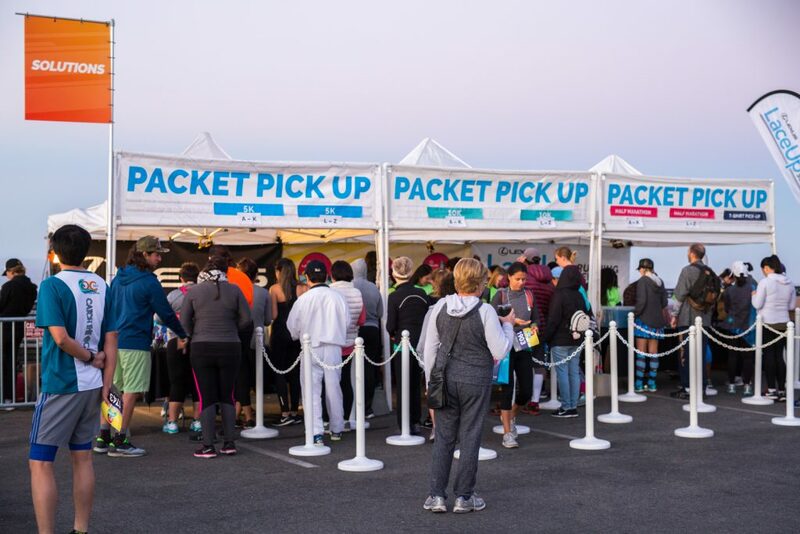 If you are unable to pick up your packet at this time, you must purchase “Race Morning Packet Pickup” for additional $5 (available when registering online). Can another runner pick up my packet for me? Yes. All they need is a copy of your ID (phone photo works). What if I can’t make it to packet pick-up at all? You MUST pick up your packet on Friday November 15. However, there will be race day packet pick-up available for an additional $5 at the start line starting at 5:30 a.m. If you are picking up on race day PLEASE arrive one hour prior to your start time. Same-day packet pick-up will close 15 minutes before each race. 2019 Medal Design Coming Soon! 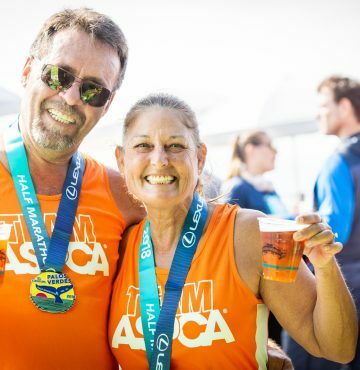 The Palos Verdes half marathon is part of the California Half and Full Marathon series! Run this race to earn more bling. Learn more about the challenge medals, HERE. 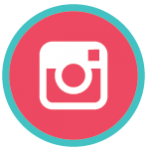 Follow LaceUp on Facebook, Instagram, and Twitter for race updates, product giveaways, live video and race photos. Thanks to our sponsor, UCLA Health for their support. Learn more about UCLA Health, HERE. Thanks to our non-profit partner, Kiwanis of Rolling Hills Estates for their support. 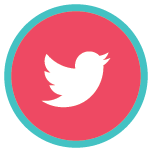 Learn more about LaceUp’s nonprofit partners, HERE. When you register for any 2019 Lexus LaceUp Series race, you will receive a personal referral link that you can share on your social media and send to friends. When you recruit 3 runners to sign up you will receive $15 back! Click the race distance below to download the course pdf. 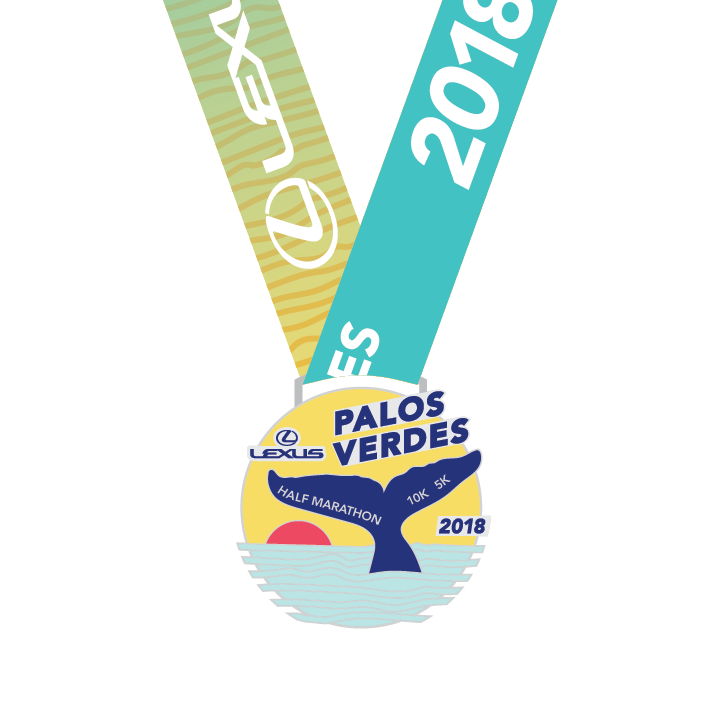 Thanks to our Facebook fans for voting on the 2018 Palos Verdes medal. Looking to earn more medals? Run another LaceUp race, or see if you have what it takes to earn the CHALLENGE MEDAL! Races that don’t end at the Finish! Each Lexus LaceUp race starts and finishes in a lively hub with music for runners, friends and spectators. As a part of your registration fee, get treated to a local food truck brunch and Craft beer toast at the finish line. Take a load off and dance, dance, dance! Music will be available for your pre-race and post-race enjoyment. SCS Photoworks will be out on the course snapping shots of Lexus LaceUp runners. Be sure to smile and then look for an email directing you to FREE photos for social media. High-resolution photos will also be available for purchase. Photos can be viewed approximately 72 hours after the race. The Palos Verdes Half Marathon offers real-time results! Stop by the Lexus results booth to get your times and see if you’ve won your age group. Age group awards will be given out at the LaceUp podium.